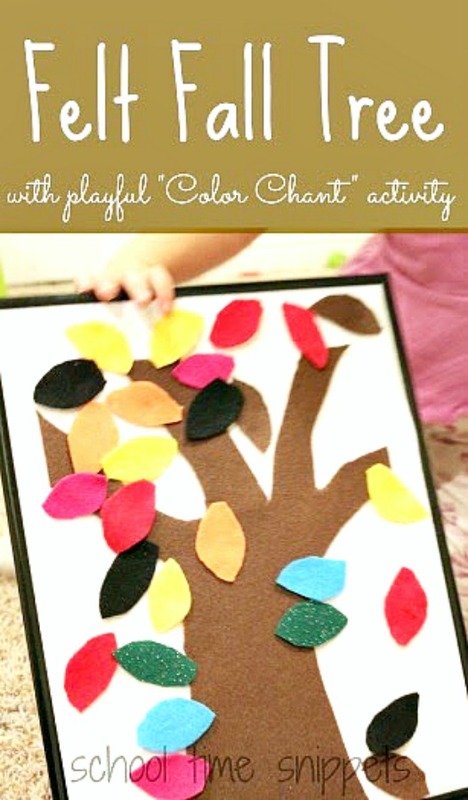 Using a DIY felt board, this fall rhyme is a fun and playful way to teach colors to toddlers! Extension ideas include sorting leaves, creative play, counting, and more! Last year I shared a fun and playful apple tree color chant, and today I'm re-sharing that activity with our Felt Fall Tree. Our Felt Fall Tree also lends itself for some free-play-- in the words of Little Sis, "Let's Decorate!" Love when there are multiple ways to play and explore during an activity. I obviously had it in my mind to use it as a playful way to reinforce colors, but Little Sis also enjoyed sorting the leaves, decorating, counting, and having the "wind" blow all the leaves off the tree! Make a super simple felt board with a large piece of felt and an old picture frame! Cut your felt to fit over the glass frame and tuck the edges in with the prongs on the back of the frame. Trim excess felt edges if needed. With a super simple felt board made, use your stash of felt to make the tree trunk and leaves. To prep for this activity, you'll need to gather some felt! Brown for the tree trunk and any and every color you wish to use for the leaves. While getting this activity ready, Little Sis insisted on blue, pink, and black leaves, too! From a whole sheet of brown felt I cut out the tree trunk and then eye-balled a leaf-like shape for the leaves in all the other colors. Once everything is cut out, it is time to learn the fall rhyme! Originally this rhyme/ song/ chant included a monkey, but since we did this activity in the fall, we changed up the animal to a squirrel. 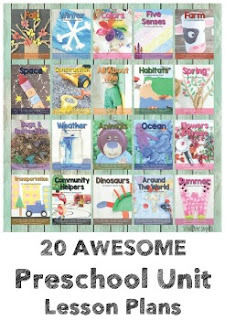 Your toddler will love playing the part of the "little squirrel," I know my daughter did!! Continue the rhyme until all the leaves are off the tree. Have fun playing and exploring colors with your toddler with this super simple and cute fall rhyme! Imaginative play - have the "wind" blow the leaves around the room & have your toddler rake them up.